It is often said that schooling is about 21st century learners being taught by 20th century teachers with 19th century infrastructure and curriculum. To take the reach of education to a much higher percentage, we have to make use of Information Communication Technology and break our conventional comfort zones for imparting knowledge and learning. Indian Government is planning to set up virtual classrooms and online courses for school education, Finance Minister Arun Jaitley informed during his budget speech for the year 2014-15. Jaitley has proposed an allocation of Rs 100 crore for this initiative. BJP, in its 2014 election manifesto, had said that this initiative would make it convenient for working class people and housewives to improve their knowledge and qualifications. Education has taken a quantum leap with the Internet, breaking classroom barriers and introducing students to a whole range of courses for upgrading themselves, which are also more affordable and accessible. 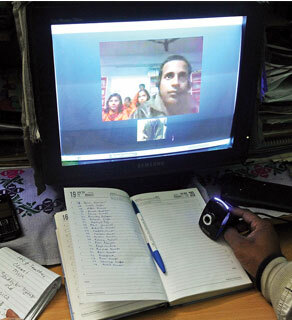 In an IT savvy country like India, virtual classrooms assume a whole new value. 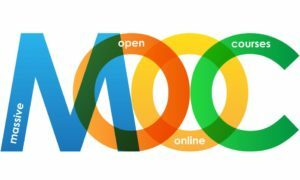 MOOCs (Massive Open Online Courses) that are, so far free, have generated a new wave in an education environment highly dissatisfied with the state of college education. 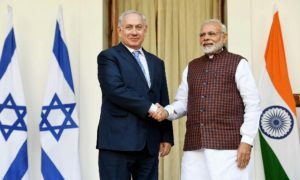 The move is set to get a further push with India and the US looking to partner in this domain. In 2012, online education enrollment witnessed a 21 per cent growth rate in India compared to a paltry 2 per cent growth rate in higher education. What goes without saying is that the easy access to technological services is the main reason behind this. 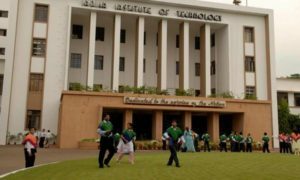 Another critical factor is that the requirement for trained engineers and technologists is far more than the number of qualified graduates that India’s technical institutions currently produce. It is imperative that institutions like IITs, IISc, NITs and other leading universities in India disseminate teaching/learning content of high quality through all available media like virtual classrooms. It may be mentioned that the previous government had also launched an open repository for school education called National Repository of Open Educational Resources (NROER) in August last year. This repository included concept maps, videos, audio clips, talking books, multimedia, learning objects, photographs, diagrams, charts, articles, Wikipages and textbooks for all grades in multiple languages. Students could search or browse through concepts from various subjects from elementary and secondary level education. They could also comment on them and contribute to the repository. A good example of extending training with virtual classrooms can be found at Brihanmumbai Municipal Corporation (BMC), where audio-visual facilities were set up in 400 civic-run schools across the city at a cost of Rs 27 crore last year. A brain child of Uddhav Thackeray, the initiative’s aim was to teach students in a fun-filled manner, which, in turn, would put a check on poor attendance. India needs to take the virtual classrooms to each and every sphere of education to take India to the next level as far as learning, knowledge and skills are concerned.